Wine producers use to argue vehemently about the choice of French oak and American oak barrels. If they only focus on the wood source it should be pointed out that this matter is not enough, as there are many additional features such as the vineyard characteristics, the time spent on oak barrels… all these features affect the result of wine. However the fact is that it is necessary to use a 5 year-old wine barrel for having a neutral influence on the wine’s flavor and optimizing the final result. 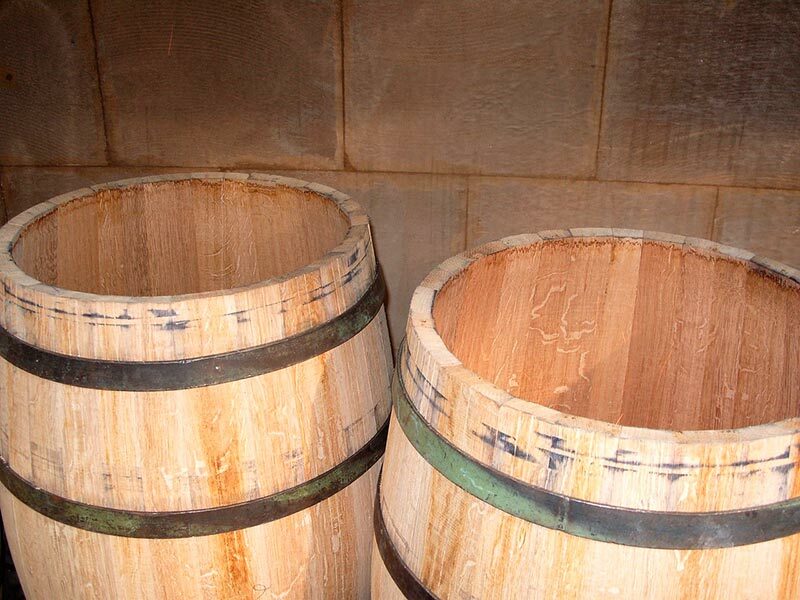 Oak barrels used for wine storage boost its flavor, aroma and complexity by the extraction of substances contained in the wood. In addition to this process they allow the oxygen makes contact with wine turning out a slow oxidation process. Most of winemakers prefer French oak barrels because these forests have a concrete wood that offers some slight different touches of wine flavor. Wine producers often use a mixture of wine barrels from different wood in order to get the unique features of each one of them. However an expanding small group is using an American white oak type that grows in Virginia, Missouri, Oregon and Ohio and many other winemakers prefer the common American oak due to its barrel price and the vanilla aroma that is being hereunder described. Both American and French oaks give tannins and aromas; French oak has tannins to a greater extent but less “oak” aromas than the American oak. On the other hand the American oak has a more aggressive feeling in the mouth and a vanilla and coconut aroma promptly clear. The element of price is key too as the average price of the French oak barrel can be twice higher than the American oak barrel. When choosing the wine barrels every winemaker looks for different elements. There is no right or wrong choice of a wine barrel as it depends on the wine that is going to be created and the feelings that will be given.